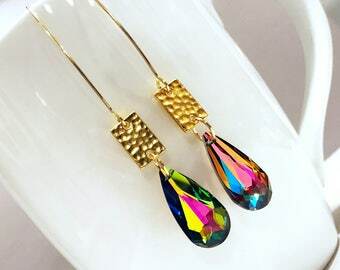 Quirky classy fun gold tone earrings made with gold plated metal. 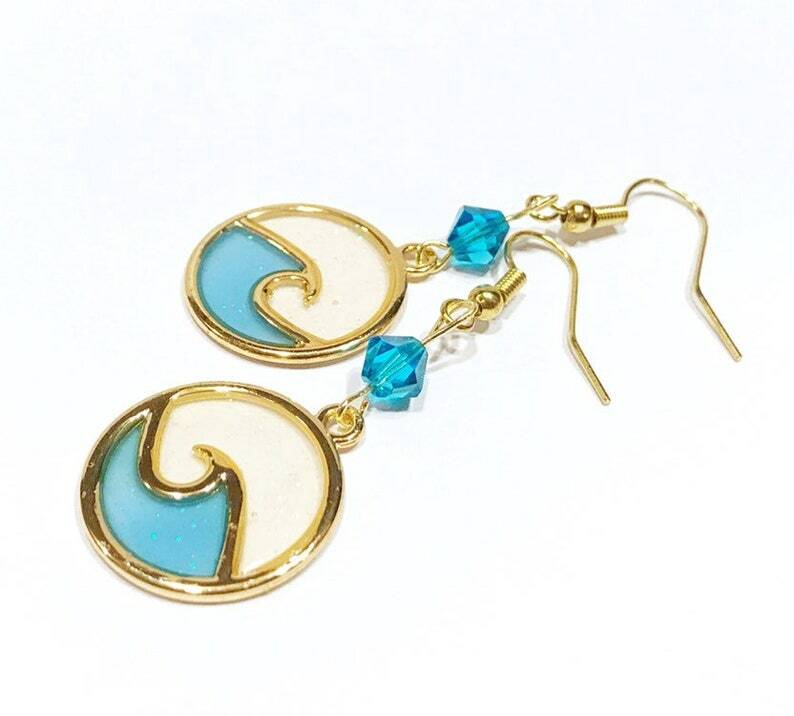 Lightweight sea themed gold wave earrings feature aqua colored crystal glass beads. Measures 2” long and about 0.8” wide. A fun earring gift for a lake lover or a coastal ocean dweller. Ready to ship item. Ships in 1-2 business days normally via first class mail normally unless otherwise specified on the site.